Have you ever faced the situation where your email username and password auto saved on Internet Explorer browser in a public cafe? One of my friends had such a situation and he didn't know how to remove the saved username and password from Internet Explorer. 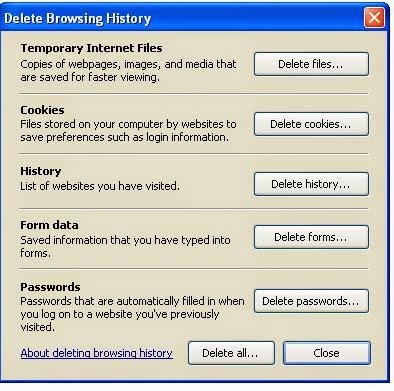 Comparing to other browsers like Firefox and Chrome, deleting stored username and password from IE is little tricky. 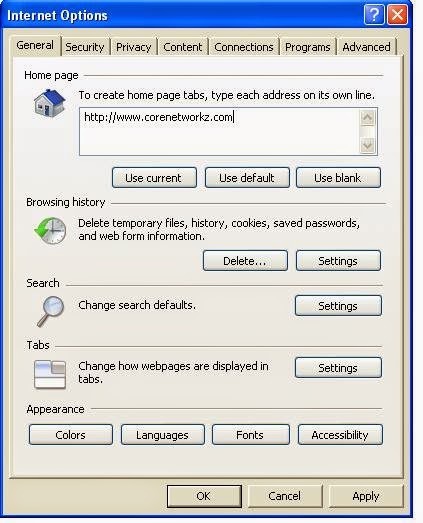 With IE7 and above versions, it is simple but for IE6 it is not very simple. 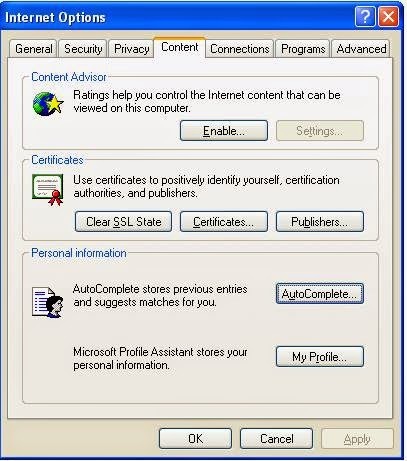 This guide explains how to delete auto stored username and password of your Internet accounts on IE 6 and higher versions. The saved passwords and Forms will be removed now. Now click on the Delete button under Browsing History. Now the saved password in IE 7 is removed. By comparing password removal on IE6 and later versions, it is clear that Microsoft makes things easy and clear on higher versions of its browser. My friend was using IE6 and that is why he failed to remove the saved password. Without removing the saved data on the browser, he went to change his email password in order to protect his email account from other users on that computer. good one...to the point ..thanx!